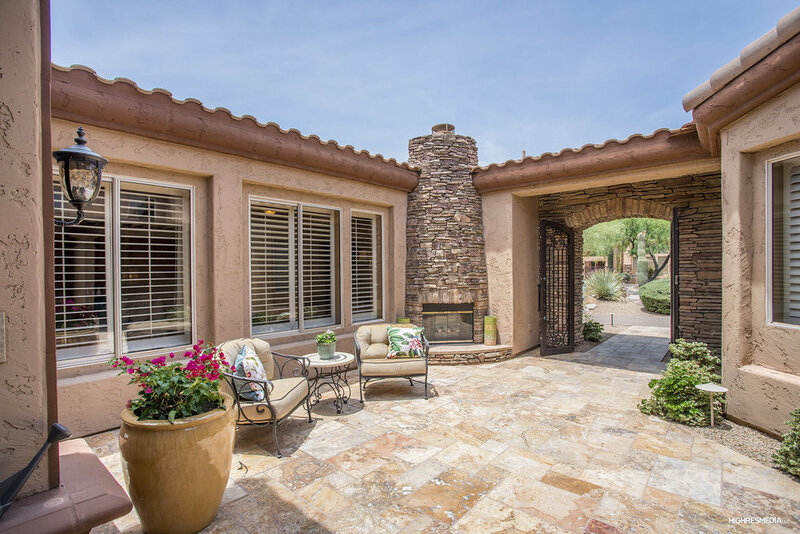 Designed for entertaining, this beautiful Sonoran Hills residence welcomes your guests with a spacious courtyard. Inside you'll find an open formal living room separated by a dual sided fireplace to the formal dining room. 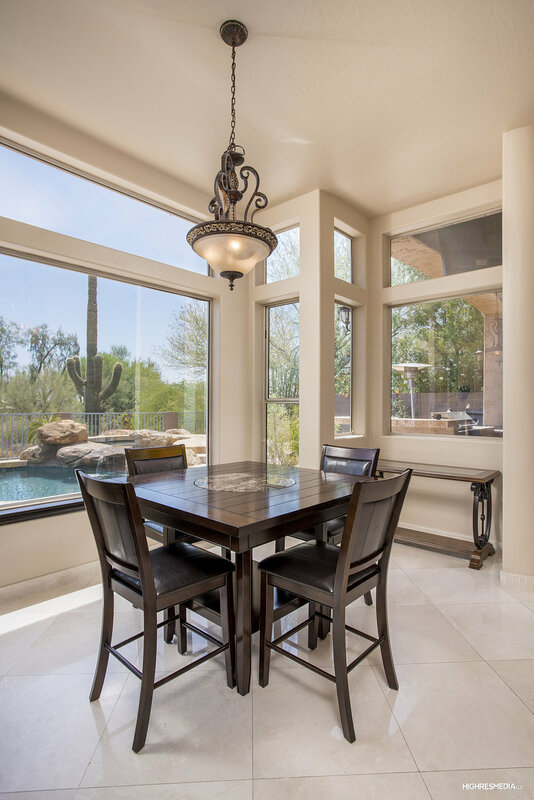 Large glass sliders bring in natural light while the wet bar a place to service guests. The island kitchen, open to the family room with fireplace, is spacious with a full appliance package and casual dining nook. Two guest bedrooms and baths flank a bonus room while the third guest room can double as a private office. 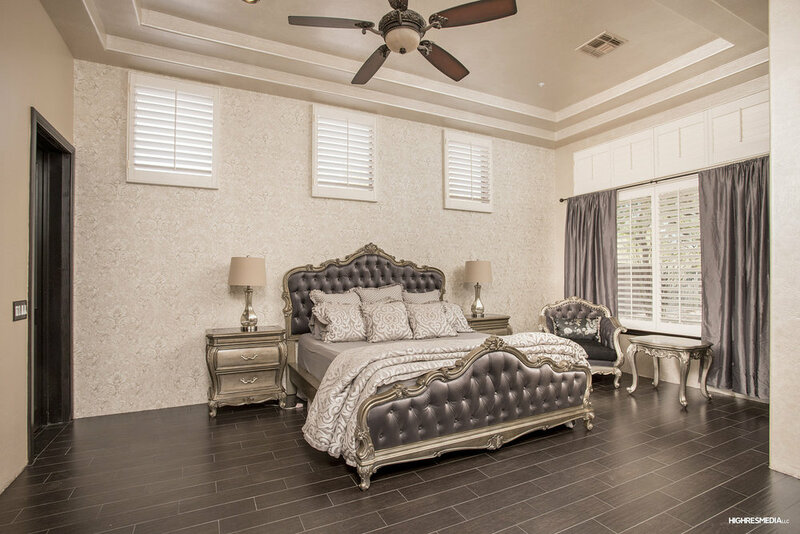 The master retreat adorns Versace wallpaper and offers a large bedroom and spa-style bath with jetted tub, spacious walk-in shower, two built-out closets and dual vanities. Outdoors you'll find a pool and spa, built-in BBQ, firepit, privacy and views.